First Lieutenant Vicente S. Cruz, 037673, Infantry, Philippine Army Reserve, displayed gallantry in action against the enemy on the night of 7 May 1942. Lieutenant Cruz volunteered for an important mission. Armed only with a crudely made hand grenade, Lieutenant Cruz crept to the enemy position, demolished the 75mm artillery pieces and inflicted many casualties to the crew. This was the Official Silver Star Citation that was awarded to Lt. Cruz, But it did not indicate where it happened. By May 7, 1942, the defenses of Cagayan de Misamis has crumbled, the 103rd Regiment who valiantly guarded the beaches of Cagayan has retreated to Bukidnon. The Japanese has taken Cotabato, Davao and Cagayan. The Filipino soldiers were being shelled by artillery fire, bombed and strafed by low flying enemy airplane. Moral was low. On the morning of the 7th, Filipino scouts saw Japanese soldiers setting up their artillery. Their position was duly marked and studied. 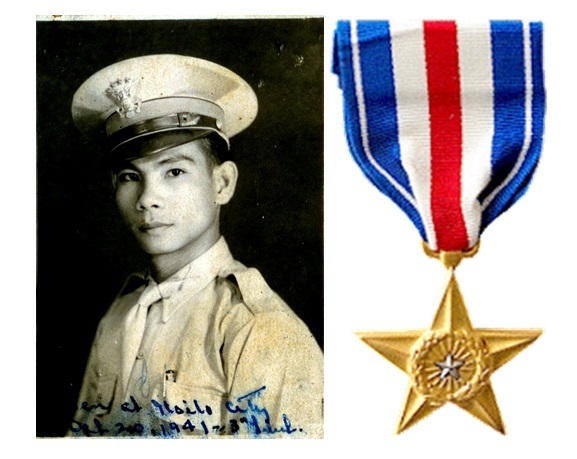 By nightfall, Lt. Cruz volunteered to “deliver” to the enemy a demolition charge assembled by the engineers. He stealthily crept to the Japanese position, lit the fuse and threw the crudely made hand grenade into the Jap position destroying the 75mm Mountain gun, its ammunition and killed most of its crew. By May 10 1942, The US Army, under Gen. Sharp surrendered to the Japanese. 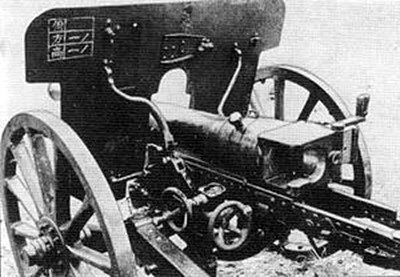 The Type 94 75 mm Mountain Gun (九四式山砲 Kyūyon-shiki nanagō-miri Sanpō?) was a mountain gun used as a general purpose infantry support gun by the Imperial Japanese Army during the Second Sino-Japanese War and World War II. It superseded the Type 41 75 mm Mountain Gun to become the standard pack artillery piece of Japanese infantry divisions. It was superior to Type 41 in range and in weight. The Type 94 number was designated for the year the gun was accepted, 2594 in the Japanese imperial year calendar, or 1934 in the Gregorian calendar.